Recently I posted about the reselling supplies I use. One great thing about blogs is that I get really great feedback from readers via email and in comments. TightFistedMiser commented that he uses a UPC scanner to list items. To be honest, I thought it wasn't terribly necessary How long does it take to list? I figured as a Blog and Business expense, I would give it a shot. I got it yesterday and I started using it today and it is awesome! 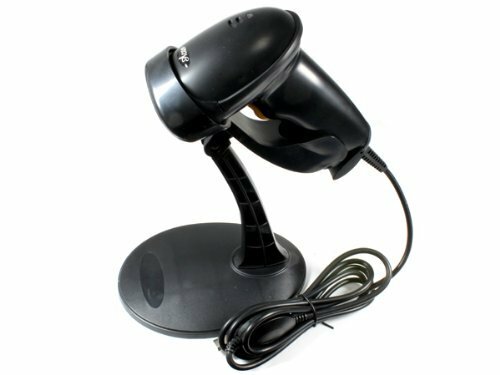 When you are ready to list on Amazon or on Inventory Lab, all you need to do is scan the item like you would at self checkout and it automatically populates the UPC and chooses the correct item to list. It might have only taken you 1-2 minutes to find the listing but now it will take 3 seconds. It's just that simple. Best of all - it's only $20 and doesn't require any software to download. Just plug into your USB port and you are ready to go! It took me all of 5 minutes to assemble and fits right on my desk. I can't believe I didn't have this earlier. Here is the link for the UPC code I bought. It is a referral link so I will get a percentage if you buy from the link. It also works for scanning gift cards instead of manually entering gift cards like a dummy like I was doing. Thanks to CTP for showing us all about that. 3" Wide Tape is So Much Better than 1.88"! Ways to Support Oren's Money Saver! Bought that MacBook on eBay? Be Patient!